The Southeastern Federation of Colored Women's Clubs (SFCWC) sometime between 1920 and 1955. 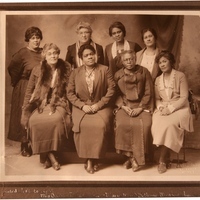 Photographed from left to right in the first row are Margaret Murray Washington, Dr. Mary Jane McLeod Bethune, and Lucy Craft Laney SFCWC was founded by Dr. Bethune in 1920 to united state club federations from Florida, Alabama, Georgia, North Carolina, South Carolina, Tennessee, Mississippi, and Virginia. The organization sought to combat school desegregation and to improve health facilities. Dr. Bethune also served as the SFCWC's first president from 1920 to 1925. Under her leadership, the group was able to found a state home for delinquent, young, African-American women and establish and operate the Home for Delinquent Girls in Ocala in 1921. Original 10 x 8 inch black and white photographic print: Living room, Mary McLeod Bethune Foundation, Daytona Beach, Florida. Digital reproduction of original 10 x 8 inch black and white photographic print. Black Women's Political Activism. Columbia: University of Missouri Press, 2003. 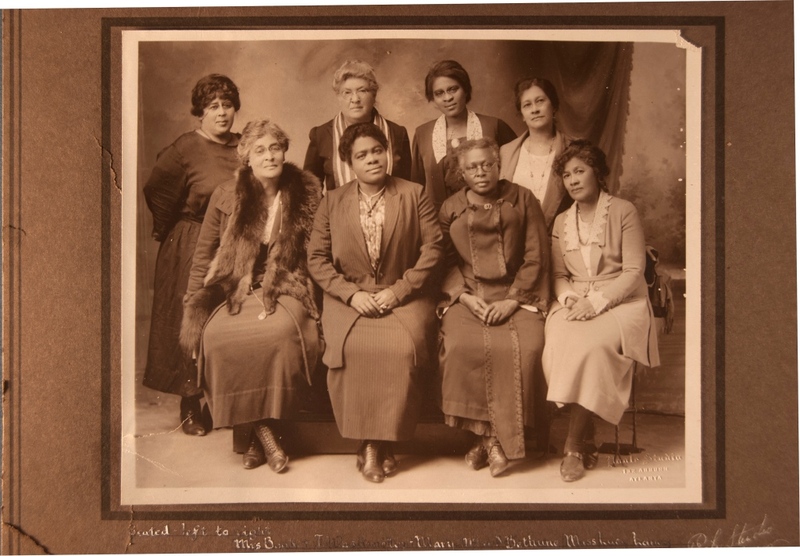 “Southeastern Federation of Colored Women's Clubs.” RICHES of Central Florida accessed April 23, 2019, https://richesmi.cah.ucf.edu/omeka/items/show/5190.